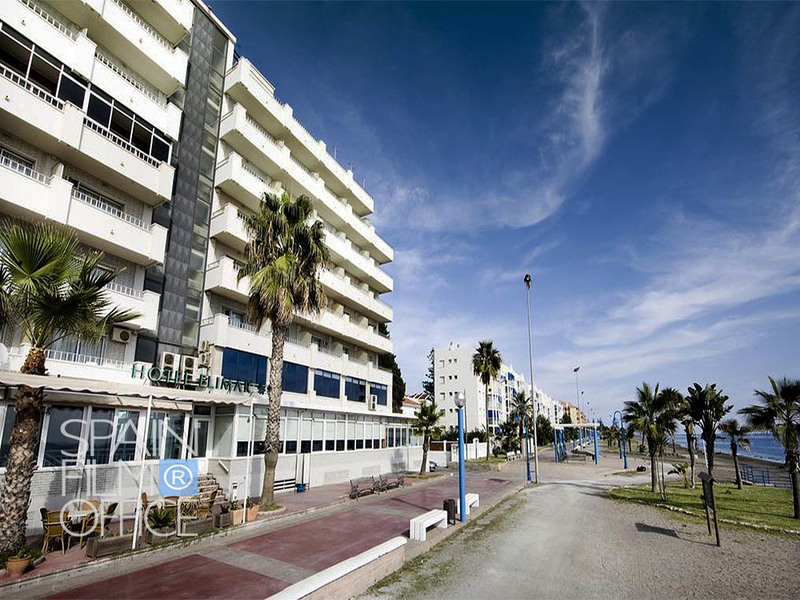 Hotel near Malaga and situated on the beachfront, 20 min drive from Malaga Airport and 15km away from Malaga City Centre. It offers a free gym and free Wi-Fi. Each air-conditioned room has a furnished terrace, overlooking the sea or mountains. Hotel terrace café is set directly on the seafront promenade. Typical local cuisine is served in the airy buffet restaurant. Rooms have wooden floors and bright décor. They include satellite TV, a safe and a bathroom with a hairdryer. This is a film friendly hotel with 24-hour front desk, large storage, easy car access, large parking space and ticket services.